Newest Eagles quarterback Tim Tebow is hoping to catch on as a starter with the Birds. PHILADELPHIA—The early reviews of Chip Kelly’s offseason moves have sparked two very distinct reactions from fans. If you listen to an old high school chum of mine who is also a diehard Eagles fan, the moves that Kelly has made, moves that include trading running back LeSean McCoy to the Buffalo Bills, letting wide receivers Jeremy Maclin and DeSean Jackson go due to free agency and just plain hubris, and trading Nick Foles to the St. Louis Rams for an injury-prone Sam Bradford, mark the beginning of the Birds apocalypse..
My friend expects the Eagles to be winless by the halfway point of the season and for Kelly to be unceremoniously ridden out of town on a rail. Until then, he’s done with the team. Then you have those Eagles fans that my Significant Other equates to fans of Tyler Perry movies; fans so willing to trust anyone in Eagles Green that they’ll cheer any move they make, even if it’s one that the management of her crazy, but beloved, Oakland Raiders wouldn’t. After all, the Birds signed the NFL’s leading rusher, former Dallas Cowboys running back DeMarco Murray, to a lucrative free agent deal. The Eagles have also acquired former San Diego Chargers running Ryan Matthews and former Seattle Seahawks cornerback Byron Maxwell to help the team’s struggling pass defense. Another move that turned heads this week was the signing of quarterback Tim Tebow, a move that rankles Kelly’s detractors and is seen by his supporters as proof of his willingness to think outside the box. But here are some things to think about as you debate the Eagles offseason moves. Murray, the man replacing McCoy, is not chopped liver. He almost single-handedly took a Dallas Cowboys team with a mediocre defense to the playoffs in 2014 and running style seems to fit what Kelly wants in a back, someone who’s going to power through the hole and not dance around as McCoy sometimes did..
Matthews will be a solid backup to keep the Birds from overusing Murray. At 6-foot, 220 pounds, he has no fear of contact and will hit the hole quickly. He gained 1,255 yards rushing and scored six touchdowns with the San Diego Chargers in 2013. And don’t forget about Darren Sproles, who can still run as a speedy change of pace back that can catch passes on third down situations. And if you’re thinking that Maxwell was simply riding on the coat tails of Richard Sherman, his superstar counterpart in Seattle, consider this: according to the website, Pro Football Focus.com, a website that keeps track of virtually every play of every NFL play, Maxwell held opposing quarterbacks to an average quarterback rating of 78.5. And because teams didn’t want to throw in Sherman’s direction, Maxwell was the fourth most targeted corner in the league. That said, don’t get too excited or start picking your hotel room in San Jose, the site for Super Bowl 50 just yet. This team is a long way from being a finished product. The Eagles still need a safety that can cover and knock the living snot out of a ball carrier or a receiver unfortunate enough to catch a pass in his presence. The team also needs to increase its depth in the secondary. Maxwell may be a part of the solution, but the problem is still there. On the offensive side of the ball, the Eagles need to fill the rather large holes left by Maclin and Jackson at wide receiver. Let’s be honest here, Riley Cooper and Jordan Matthews are scaring no one. But the real mystery is at quarterback. With the current crew, there’s no one that gives you any real long or short term hope. First, you have Sam Bradford, the quarterback that the Eagles got from the Rams and who hasn’t played a full 16-game season since 2012. You also have Mark Sanchez, who literally threw the Eagles out of the playoffs last season. And then there’s Tebow, a quarterback with a rating so low that it would appear he’s done nothing but throw to Byron Maxwell his entire career. On one hand, bringing Tebow in to run the read-option makes sense because he ran a similar offense in college. The Eagles have run the read-option 514 times over the last two years more than any other team. Tebow is more mobile than Bradford and backup quarterback Mark Sanchez. 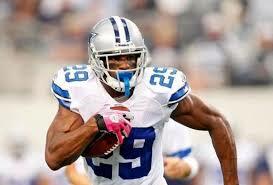 He has 989 career rushing yards. But if you’re going to be a quarterback in the NFL, it might be a good idea if you knew how to pass. Tebow has completed just 47 percent of his passes. While there are some football observers who say that since Kelly’s offense is geared to the run and shorter passes a QB with a big arm isn’t necessary, defenses get wise to that after a while. With the draft on the horizon, I still wouldn’t put it past Kelly to come up with some crazy scheme to get Oregon’s Marcus Mariota or draft a mobile quarterback, possibly UCLA’s Brett Hundley. But like most of his offseason moves, no one knows what’s coming. So while Philadelphia Eagles fans shouldn’t head to the Walt Whitman or Ben Franklin Bridges to take that final leap, they also shouldn’t bet the mortgage and car payment on a trip to Super Bowl 50 at Levi’s Stadium in February, either.